MEZCO adds another figure from the Marvel Universe as the heroic Vampire Hunter Blade joins the One:12 Collective. Eric Brooks, the man known as Blade, was born a vampire when his mother, during childbirth, was bitten by one passing on a series of enzymes that transformed him into a Dhampir – a being tainted by a vampire’s kiss, but not converted. Now infused with the power's of a vampire, but very few of their weaknesses was determined to avenge his mother’s death. 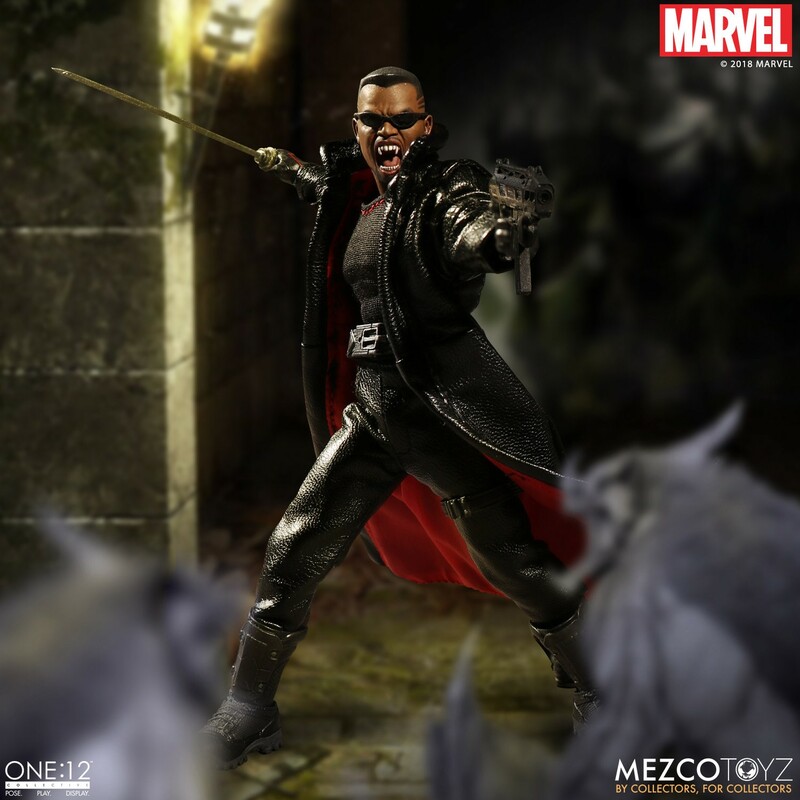 Armed with weapons that are fatal to the undead he has fashioned himself into the vampire hunter known as Blade! The One:12 Collective Blade figure features two intricately detailed head portraits: an unwelcoming scowl and a bloodcurdling roar. No details were overlooked when designing the infamous daywalker. 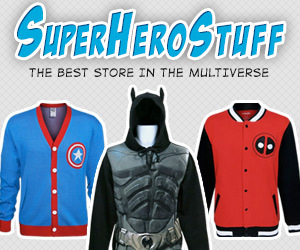 His outfit boasts a leather-like black trench coat with an integrated wire for dynamic posing, as well as a tailored three-quarter sleeve t-shirt and motorcycle style pants. 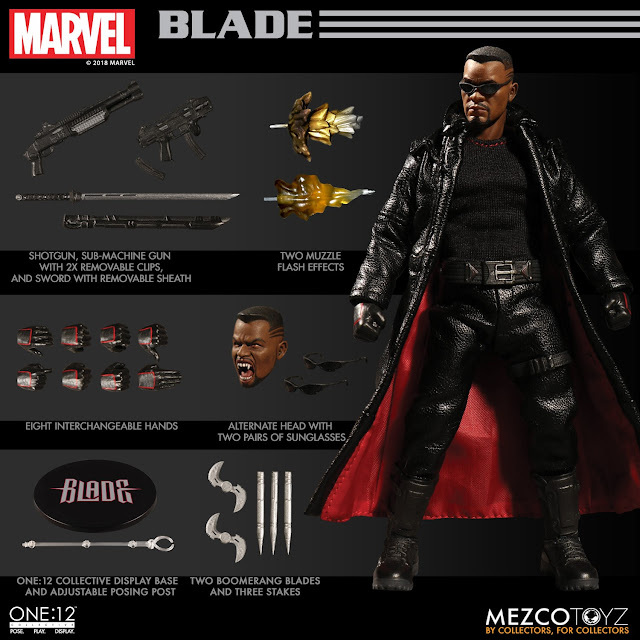 Blade comes well-equipped to hunt down creatures of the night with accessories including a customized submachine gun with removable magazines, a pump action shotgun, signature sword with removable sheath, collapsible throwing blades, striking stakes, and of course shades! The One:12 Collective Blade is available for pre-order at and will hunt his way into stores October – December 2018 at a price of $80 USD.